An Inspiring Destination Within Your Reach. Toledo is ​a wonderfully intimate city only 35 minutes away from Madrid thanks to a reliable high-speed rail line. Its cobbled lanes have been filled with Romans, Visigoths, Jews, Arab and Christians for more than 2,000 years. In fact, this walled city was once an incredibly rich melting pot. And since it's a downloadable Toledo itinerary guide, you can have it right now. No delivery fees and no shipping waits. So if you are thinking about organizing a day trip from Madrid to Toledo in advance and would like to explore the best corners of this magical town, this guide is right for you! ​​This guide strives for excellence. I am a traveler who seeks to immerse myself in the destination before leaving home. And I confess that I couldn't find anything printed or on the internet that suited my needs. Fortunately, this guide offers complete and detailed information for the traveler who intends to explore the city in one day. The level of detail and first hand information that the authors deliver is extraordinary. Of all the guides that I found this one is by far the most complete. We Have Created The Best Toledo Itinerary For You. The main idea behind 'Toledo In One Day' is to allow you make the most out of your time. The old times of spending hours on the Internet to create a patchworked travel guide are gone. Download it and store it on your computer, laptop, tablet or smartphone. You will always have it with you, in your bag or in your pocket! One of the readers' favorite features of this insider's guide is that it's always updated. We carried out the field work just a few weeks before the publishing date. Moreover, every time we spot any minor information change, we instantly update the file. So no matter when you get your guide, you will always download the latest and most precise information on Toledo. Unlike hard copy travel guide books publishers who commission their writers with field trips years in advance, ending up with an inaccurate final product, 'Toledo In One Day' contains the latest information. Everything that you will read is based on practical and organized Toledo first-hand advice. The self-guided walk has been personally tested to make sure that you can do it on your own. But what's even better is that all you have to do is download it to start reading immediately, all with one click. ​​Loved the self guided tour! Helped save a bunch of money. It was nice to have the info in the ebook and not have to rent a hand held tour guide. The walking tour around Toledo was fabulous and took us to all of the hidden gems. Loved purchasing the pastries from the cloistered nuns. '​Toledo In One Day' is the result of a collaboration between Spain Traveller (a sister site of ​​Seville Traveller) and Espanha Total, the best guide online in Portuguese about Spain. 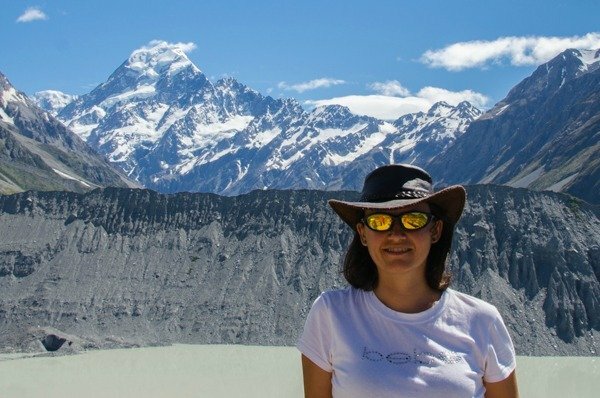 The three of us love to travel independently, and have helped dozens of friends to organize itineraries and trips throughout the world. 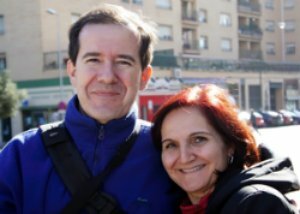 Given the success of previous collaborations, Cecília, Tony and myself decided to join forces on this challenging project with the sole purpose of creating the best travel guide about ​Toledo. ​We are very proud of the end result, 'Toledo In One Day'. Why Do We Think This Is The Best Guide To ​​Toledo? 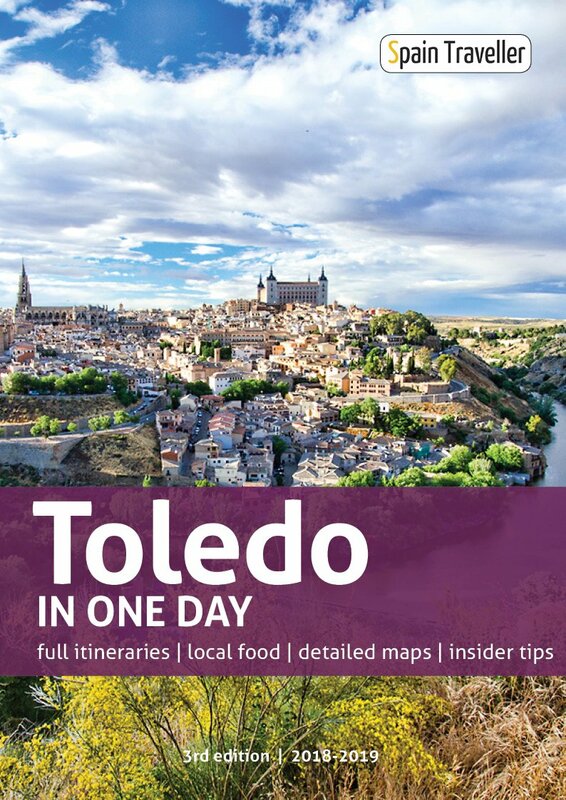 ​​It is a complete ​40+ pages guide featuring exclusive content, relevant websites, rich designed maps and dozens of photos, allowing you to explore ​Toledo before you set a foot in Spain. 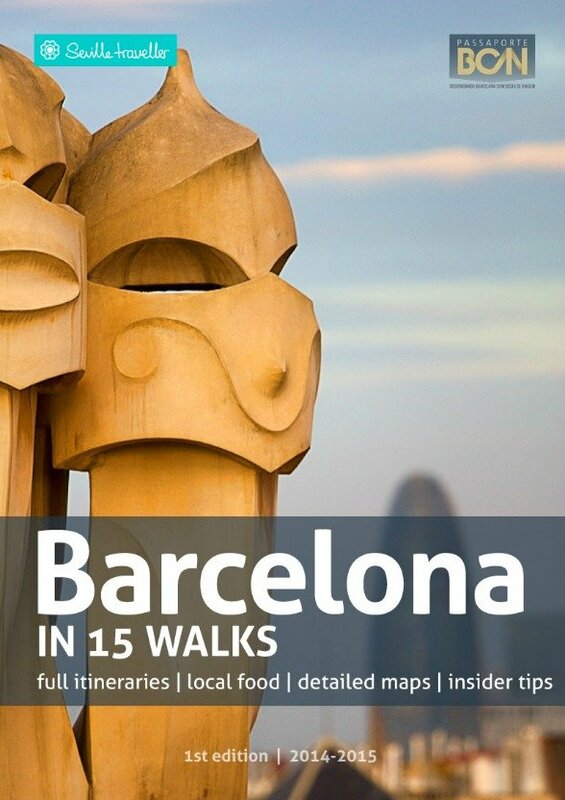 ​​It contains a detailed step-by-step walkthrough of ​a full day self-guided walks with all the directions and practical information necessary to go from one highlight to the next. You will get to visit what's really important, maximizing your time there. ​​This self-guided walk is exclusive and has been designed by us, after spending many hours strolling around ​Toledo on our own, testing and researching all the tips and recommendations. ​It is an interactive ​Toledo itinerary guide containing lots of links to external sources to browse different areas and neighborhoods through pictures and maps. Use them to check updated ticket fares and book your accommodation online as well. ​It offers suggestions of bars and restaurants along ​the walk where you can have a proper meal, grab a bite or simply rest your legs without leaving the path. 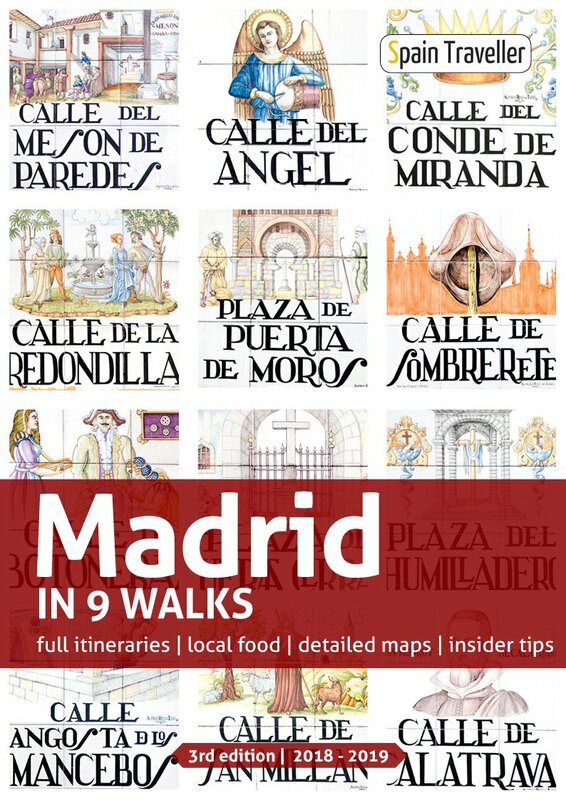 If for any reason, you aren't satisfied with this ​Madrid travel guide or it simply didn't meet your expectations, just say so and I'll immediately refund you 100%. No questions will be asked, no exhausting procedures. You will get ALL your money back. ​​​Overall, I actually found this guide pretty helpful. I had recourse to it several times on my iPad, often on the fly, and I found it easy to search and browse on my iPad. Trust me, that is not always the case. I had another guide that I stopped even trying to use. Glad I bought this book, it came in handy on many occasions. I would definitely purchase another of Sandra's guides in future to visit another city.